May 16-18, 2017 marks the 5th annual Washington, D.C. Infrastructure Week. During this time, thousands of stakeholders will highlight the critical importance of investing in and modernizing America’s infrastructure. NACo will be participating in a number of events and would like to invite you to attend and help us share the county message. Join NACo for a reception and meet-and-greet with local leaders from around the country who will be visiting Washington, D.C. to help promote the county government priorities as Congress continues their work toward developing an infrastructure package to help build, repair and grow our nations critical infrastructure. 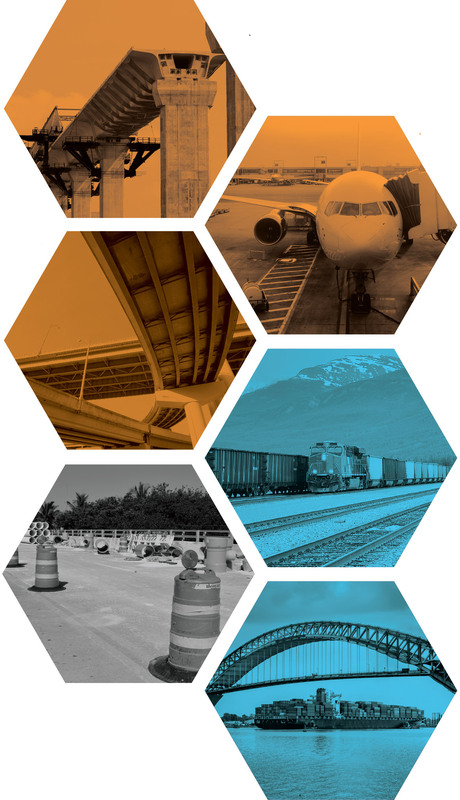 Infrastructure Week Fly-In attendees will meet at NACo’s headquarters and participate in a briefing that will provide a detailed overview of each of NACo’s planned events for Infrastructure Week, along with a legislative update focused on NACo’s 2017 infrastructure priorities. Join local government leaders, along with the President and CEO of the Eno Center for Transportation, Robert Puentes, for a discussion on successful national and local strategies that have helped communities contribute positive economic development through infrastructure and promote new innovations through strong federal-state-local partnerships. NACo Infrastructure Week Fly-In participants will gather for a group photo on the steps outside of the U.S. House of Representatives for a brief photo-op prior to departing for the Big 7 Capitol Hill Briefing. Join leaders from the U.S. House of Representatives and the U.S. Senate for a robust conversation with state and local leaders about the current and future state of infrastructure in America and how Congress and the Federal Government can help support local infrastructure goals. Join Hon. Gary Palmer (R-Ala.) for an off-the-record discussion on regulatory hurdles that impede infrastructure development and implementation. Chairman Palmer will engage attendees in a two-way discussion of how the federal government can assist local governments through the regulatory process. Representatives from local government, industry and academia will come together for a discussion on the importance of building and investing in broadband infrastructure when building connected communities in the 21st century.